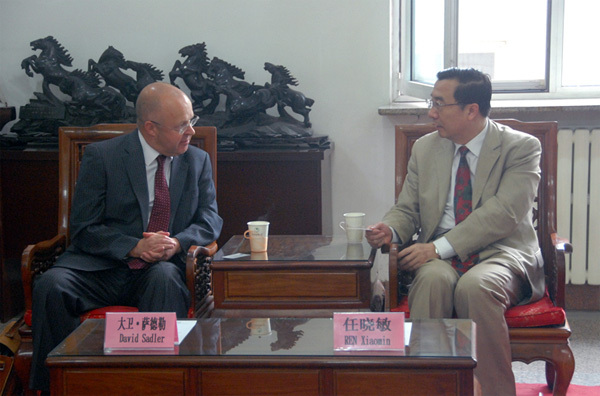 On May 15, 2014, Mr. David Sadler, Vice-President of Queen Mary University of London visited our university, with Dr. Chen Yue, British Director of the Joint Program,. Vice-President Ren extended his warm welcome to Vice-President David Sadler. Mr. Ren firstly congratulated Mr. Sadler on his appointment as Vice-President of QMUL in charge of international exchanges and cooperation since March 2014. Mr. Sadler was very grateful for the congratulation and warm hospitality. He pointed out that as Vice-President of QMUL, he chose BUPT to be his first foreign affairs trip destination because the Joint Program held by two universities has been very successful for the last ten years. Then, he mentioned that under the effort of BUPT and QMUL, the Joint Program has successfully went through the programmatic accreditation process of the Institution of Engineering and Technology (IET) and received high praises and favorable comments. Later, both parties conducted in-depth discussion in future cooperation. 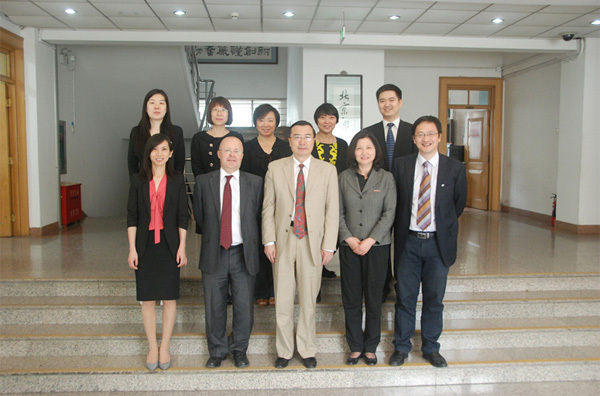 Director of International Office, Ms. Ren Chunxia, Dean of International School, Mr. Li Yuxiao, Deputy-Director of International Office, Mr. Wen Sijun, and Head of Administration Office of International School, Ms. Wang Yao, also joined the meeting.